There you go - those odd moments that appear in everyone’s heads in December and last for a few days, every year; there’s always this funny habit of recalling what was good and what was bad, what went well and what didn’t, or even what you did good and what you did wrong - in the year that passed. And lists. Of course. There is a love/hate relationship with lists, since most of the people that form (almost) any group of audience pay attention to lists just as much as my 4-years-old niece Olga pays attention to Duggee. It’s all really interesting and captivating, but once it’s gone, it also flows out of your head instantly. But lists are always a good reason to reflect on what’s happening now, from a different perspective; this is one of the very few moments of the year when you can actually put things in perspective and make an exercise of retrospection. 2015 was also the first year of this project. We interviewed different inspiring musicians and bands, covered a few cool music festivals, made some concerts in Bucharest, published music reviews of albums that we consider relevant, presented a series of 4 different audio podcasts, where we featured guest appearances, as well as conceptual mixes. And generally, we thought too much and wrote too little. Throughout the year, more and more people started to share our enthusiasm and gave us a reason not only to continue, but also to evolve and grow. 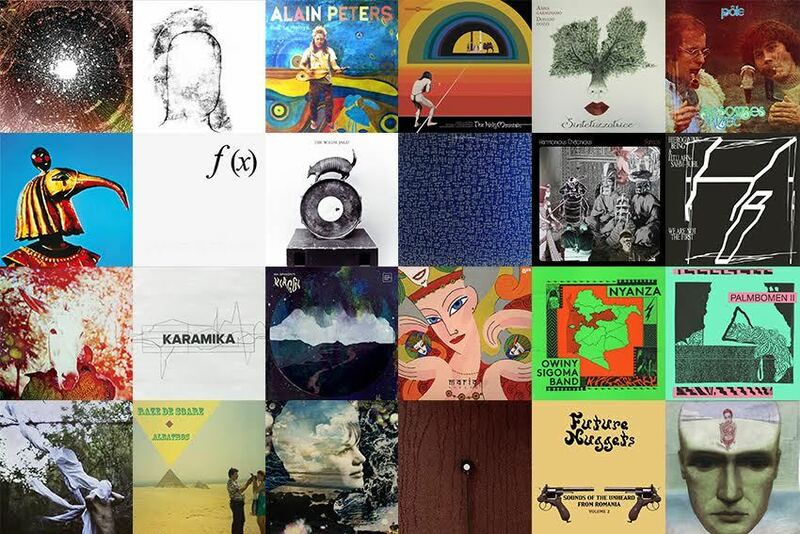 Even if it started with an experimental approach, 2015 was a roughly beautiful year in which we tried to shape the foundation of an online Attic - an ideal place where, music wise, there are no boundaries of time, genre and geography. In this quest, we followed a simple guideline: to question everything and to try to pursuit the essence of what we believe is good, timeless and continues to resonate regardless of its release date. There is no best of and this is not a list of best albums. Music, as an art form, cannot be judged in terms of best ofs, because this has always been a subjective matter. If you look at it from a bigger picture, an album can’t be better or worse than another album only because a certain number of people consider that. Maybe the whole music in the universe is good, but the point is that what works for me may not (necessarily) work for you, and vice versa. Fortunately, there is so much great music out there at this moment, that even the most skeptical music soldier would have a chuckle thinking that these are - musically - the best times that we could possibly ever live. Since we hate lists as much as you do, we asked our contributors, collaborators and friends to help us and to share their favorite albums of 2015. No rules about anything; a total freedom of picking whatever preferred album produced or repressed this year. The only key element was the release date. Some of the respondents couldn’t decide for just one title, so they sent us a few. A big thank you to everyone who contributed to this list! With no further introduction, there you go - our messy list of favorite albums released in 2015. In order to create something that’s beyond good or bad, one must be a selfless genius. Because everybody wants to make good music. Everybody? No! There are some truly free spirits out there, the most independent artists you can imagine. People like Albert Oehlen - and James Pants. Signed to the prolific Stones Throw label, he is known for a conceptual approach towards each release. And for me he’s one of my favorite contemporary artists out there. But this new one leaves lots of question marks. I only listened to it once and I never played it out in da club. The contained music cannot be used. Even better: It cannot be misused either. So therefore it’s not useless at all. Maybe in 30 years time we’ll get the point but I don’t care - I love it right now, although I’ll never listen to it again. Although I could listen to it everyday. Picked by Booty Carrell. Highly recommended if your year was, in some aspects, as depressing as mine. Of course that is impossible to quantify but Qual manages to create a solid 80’s wave grit, mortuary machine of gory, repetitive chants that will surely connect to your darkness in one way or another. Try ‘Spit on me’ and ‘Rip Doth Thy Scarlet Claws’. Picked by Leașcu G.
Such delight! This Romanian Duo of Cosima Opartan and genius musician/composer/producer/impresario Ion Dumitrescu shines through my whole year. This music is future, past and present. It is pure and essential universal love and I hate everyone who doesn’t like it with a passion. Picked by Booty Carrell. *Note: There are 2 exceptions from the rule of submitting only albums. Figure them out and you can win a free beer!